Well, why don’t you get Art in the Everyday? | well why don't you…? Well, why don’t you get Art in the Everyday? It is wonderful to see when art inspires the everyday designs around us. To see an artist’s creation on wearable and useable objects brightens the mundane. Recently we have noticed more and more “artsy” designs. 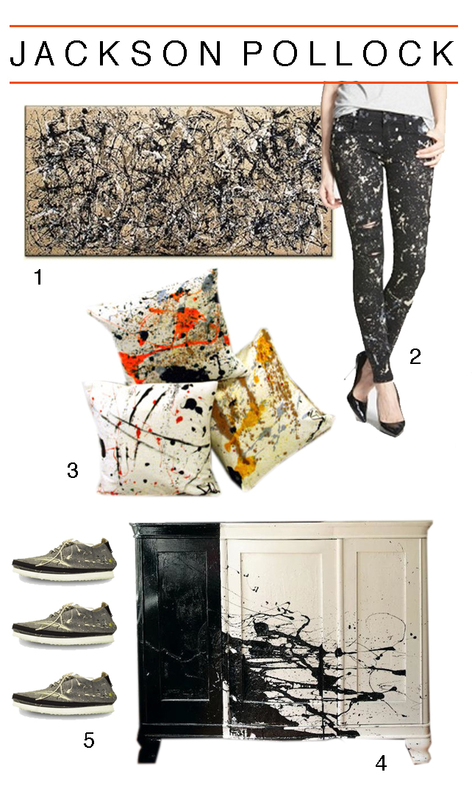 Probably one of the most popular is Jackson Pollock’s action paintings. Here are a few everyday objects inspired by his well known works. ← Well why don’t you check out Art Production Fund?